I made nearly half a million yesterday and I’m up above 1.3 mil! I’m in the 2 comma club! I spent some money. I upgraded a couple of internal components like Sensors and Shields. I also got rid of the cargo bay and put in a fuel scoop. 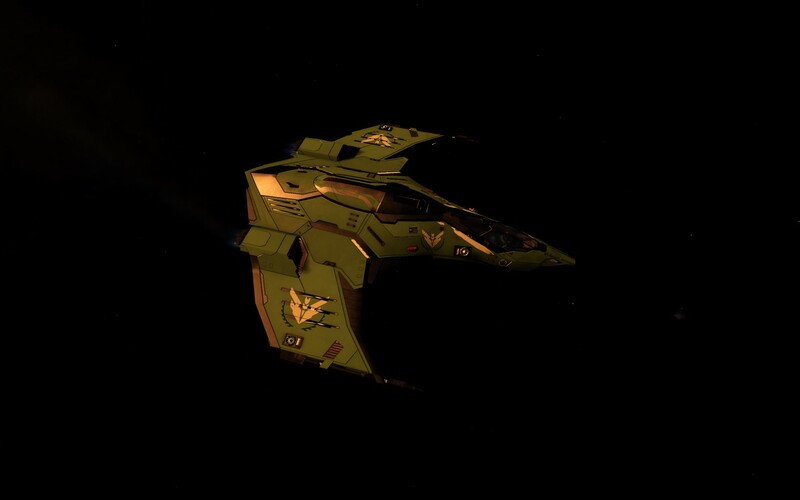 The Eagle, or at least my Eagle, is pretty much just a straight up fighter. 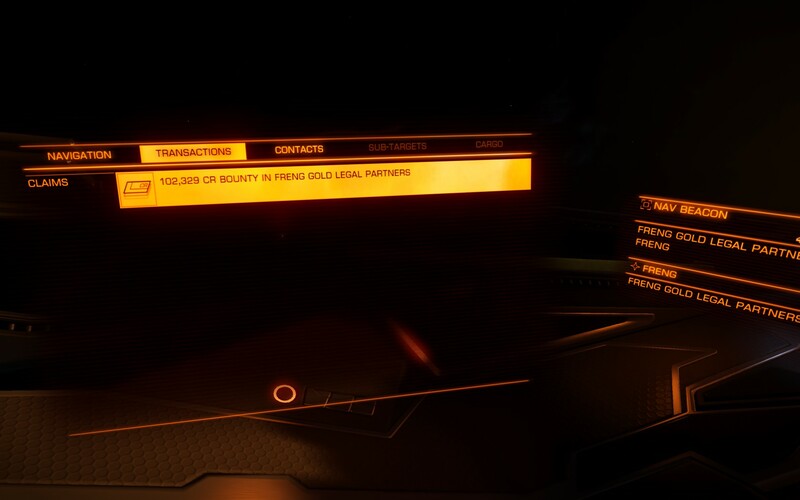 I won’t be making any money off cargo any time soon. And since my mid-range target is a pretty pricey freighter, it makes sense to upgrade most of my core systems. I should probably drop the cargo scoop too…No point in having it if there’s no where for cargo to go… I didn’t spend a ton of money. In most cases, I only improved a component by a class or two. And it was a good night at the Nav Beacon! Even with the upgrades, I still netted over 93K in profit, putting me at 759K totals funds. The Fuel Scoop I added because I nearly ran out of fuel once in the starting Sidewinder. Like…fumes. I don’t want to run into that again. ALSO…a buddy of mine just got the game and I’m planning ahead in case I need to make a long trip to meet up. I’m also kind of thinking it’s time for a change of scenery. So even if I don’t set out on my journey to find my friend, I think it’s time to check out a new system 10-20 light years away. 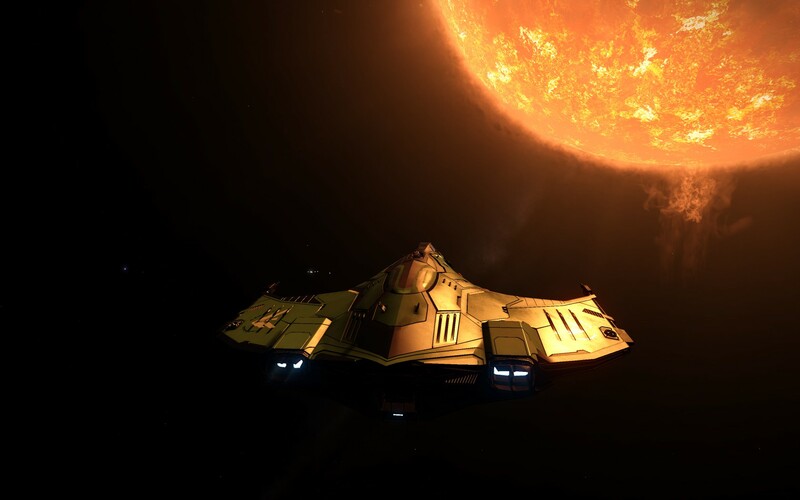 Freng has been good to me…but so far only the Nav Beacon is paying out any. 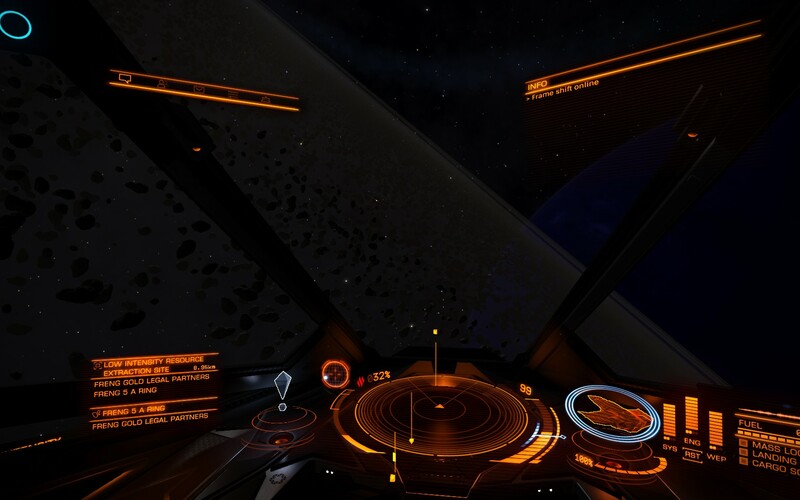 The resource extraction points are pretty dull. 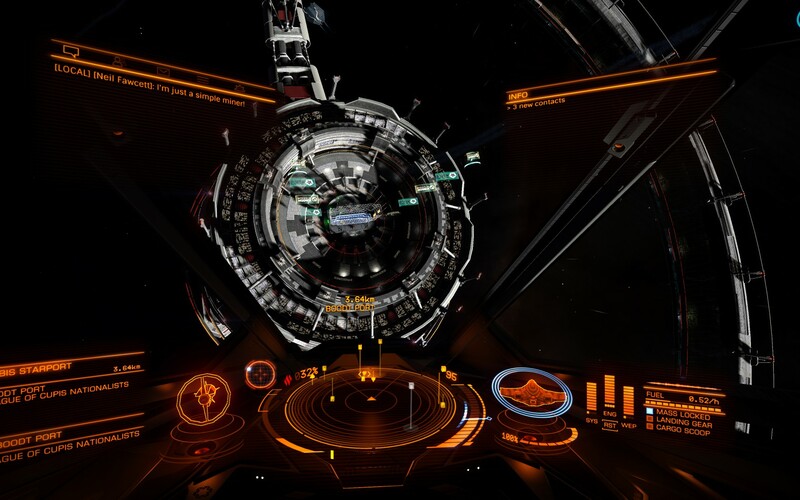 I did check out a low intensity conflict zone last night…and promptly turned right around. No screenshot from last night. I’m just worthless, I know. 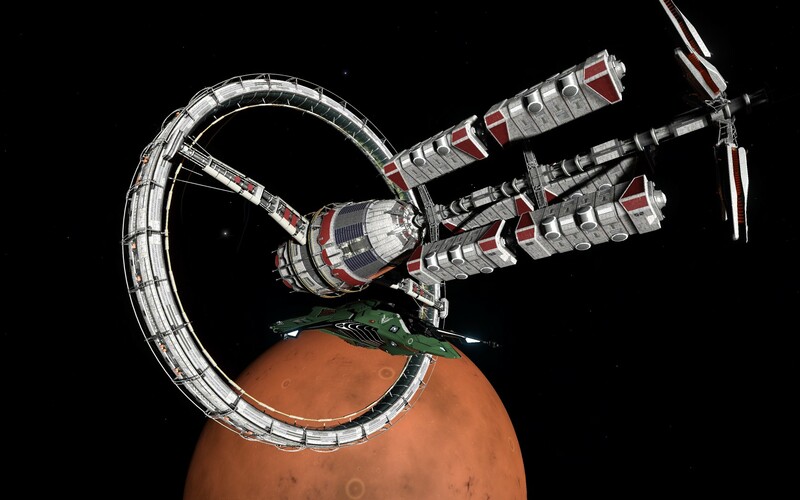 So I did play a little last night but I didn’t have time to post a full on mission log and track what the progress was. Tonight though….oh man….tonight…. If you happen to be watching the stream when that popped up you saw my jaw drop some. That’s by far the biggest I’ve scored in one kill. All told, today put me plus 184K towards my goal! 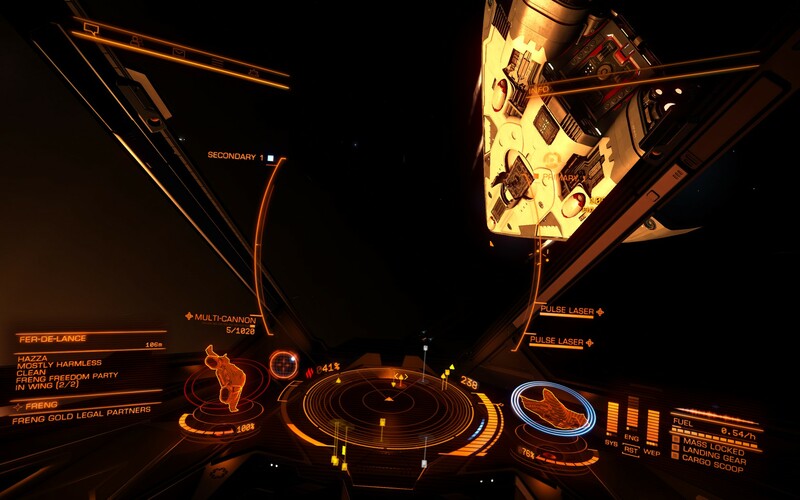 I had a moment of fright when, on my way back to Bear City, I was interdicted by an Asp. 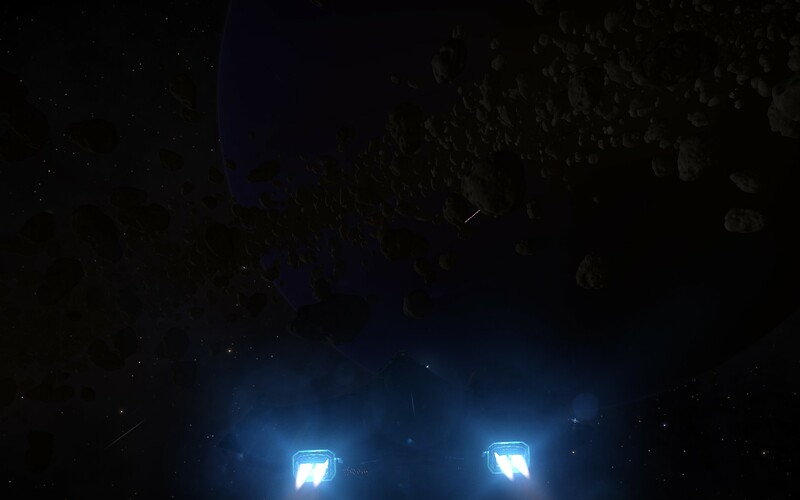 I was lucky enough to get a Commander that was ranked pretty low and drove him off. It would have really….REALLY sucked to have lost all that money. I played a little last night. Got some bounties…died once…Bleh. Didn’t have time to get deets on updates. But I did snap a quick pic! Well this mission log makes up for the last one in SPADES!! For starters, I streamed the session. Don’t really think anyone was watching…but I streamed it none the less! When I do it again, watch my twitter for the announcement. Or, you can find and follow me on twitch.tv/kameco. Bounties was the name of the game tonight and while there were some lulls in the fights, I managed to make off with over 232K in profit! AND NO DEATHS!!! I played it smarter. 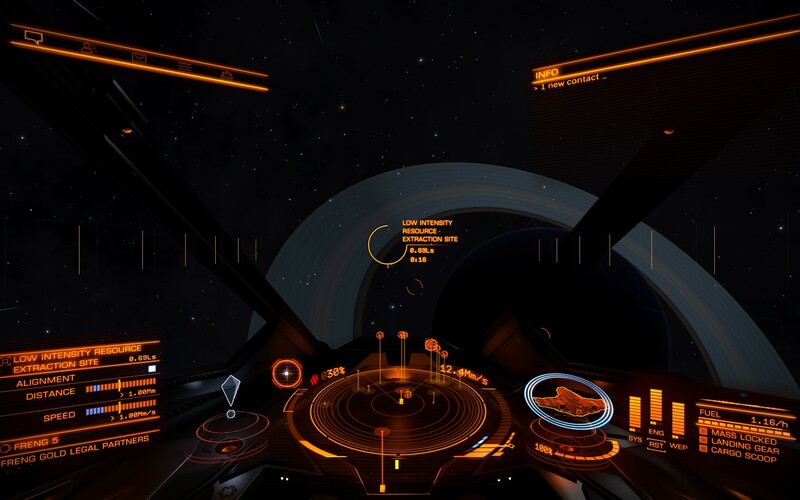 No big ships (unless other NPCs were fighting it too) and no wanted ships with 2 other wing mates. If I can stick to those rules, I might just make it in this topsy turvy universe. Snapped this waiting for more contacts to show up at the Nav Buoy. And check out what showed up!!! It’s not a great pic…but every time I got close to it, I was afraid of running into it. That’s a Fer-de-Lance! That’s the the fundraising goal at the bottom of the site is for. 481,401 credits down…many, many millions yet to go. Whole lot of failure tonight and a net loss…. I got in there and checked it out. It’s pretty. The problem was it wasn’t very well populated. I finally managed to find someone that was wanted and ended up not getting out of the way in time while we were fighting. Their ship was a lot bigger….kaboom. 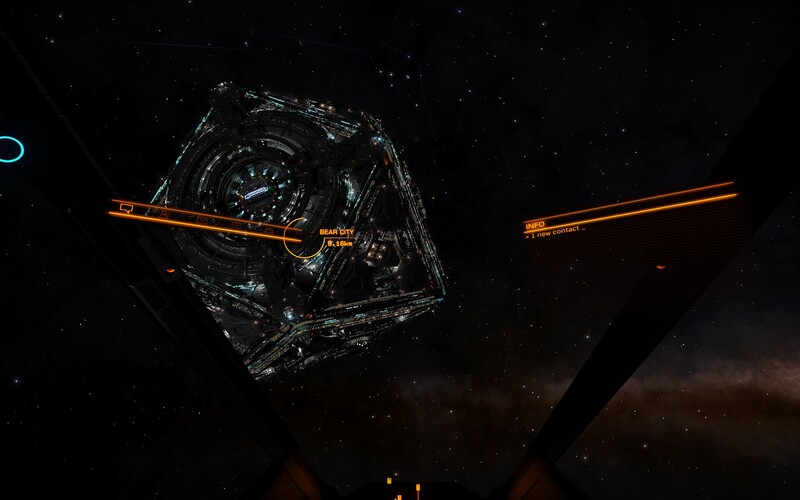 Came back and decided to try a High Intensity Resource Extraction site…found and Anaconda that was wanted…that didn’t end well…. 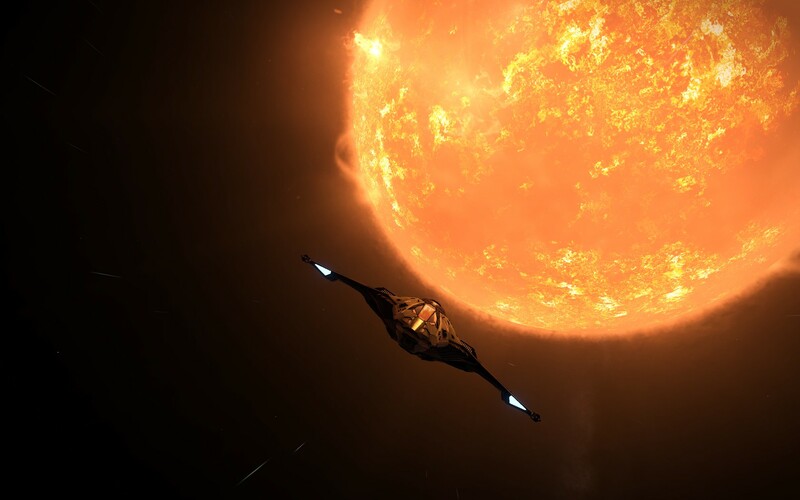 After Tuesday’s fiasco, I’m considering leaving the Freng system…but I’m not sure where I’d go…. suggestions? I’m also considering streaming this weekend….